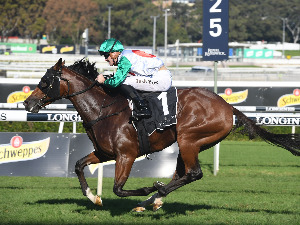 The Randwick Timeform recap for Day 1 of The Championships providing analysis for each of the ten races held at Randwick on April 6. 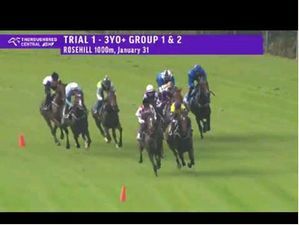 Four Group 1’s were held through the card, the TJ Smith Stakes, Doncaster Mile, Australian Derby and the Sires’ Produce. Santa Ana Lane produced the performance of the day as he claimed a fifth Group 1 victory by taking out the TJ Smith Stakes. Godolphin’s dominance of two-year-old racing continued with Microphone taking out a strong renewal of the Sires’ Produce. Cummings also won the Kindergarten Stakes with Bivouac. A Godolphin 2YO winner to open proceedings in Sydney on a Saturday is something we’ve all gotten used to now. The Exceed And Excel colt settled just off the pace and was dominant from the 250m. 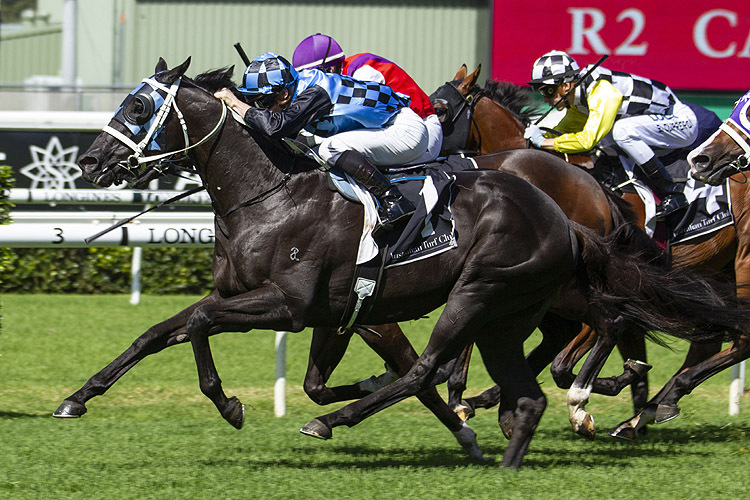 We’ve given the run a Timeform rating of 117 which is strong for a Kindergarten Stakes. It’s the highest winning figure of the race since Solar Charged won in 2010. Bivouac couldn’t get a run in the Golden Slipper but this was a handy consolation. The Kindergarten is not a bad race to be winning either. Past winners over the last five years include Astern and Hallowed Crown. They both enjoyed strong spring preps when they came back as three-year-olds, each winning the Golden Rose. Libertini and Athiri were both solid late for minor placings. There is the Group 2 Percy Sykes Stakes at Randwick this Saturday. Athiri already has an early nomination. It could definitely be worth backing them up. Ringerdingding settled midfield and produced a long sustained run. His slender win yielded a Timeform rating of 106. He’s lengths better than that figure. 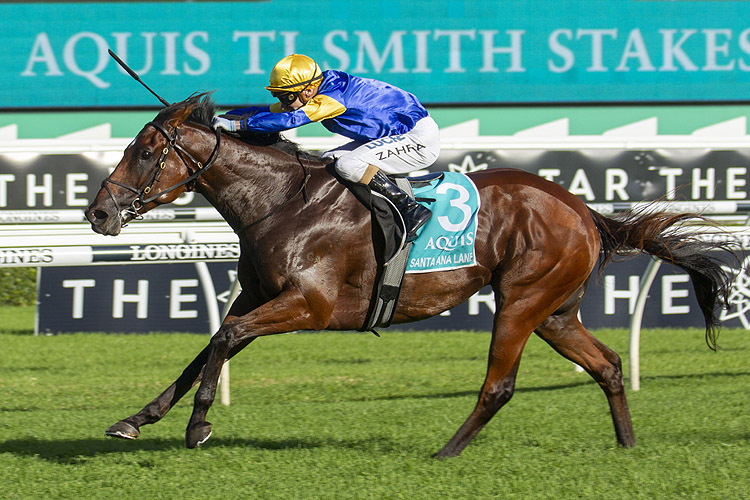 The three-year-olds’ strong performances in both the Futurity Stakes and Australian Guineas highlight that. On Saturday the son of Sebring was simply well placed. That was the fifth run of his prep. There might be room to fit another in. Dropping back to 1400m and contesting the Hawkesbury Guineas in three weeks profiles as an option. Shuffle Up was excellent. Certainly surprised a few at 60-1. After that, you’d think a Frank Packer Plate could be up his alley next fortnight. The Carbine Club doesn’t attract much attention each year. There are four Group 1’s on the card so it’s always going to be a support race. It is worth noting however Fat Al , Toydini and He’s Our Rokkii are all past winners of this race. They each went on to win Group 1 or 2 races that following spring. Aliferous came from an absolute mile back to win this and booked herself an Oaks start in the process. 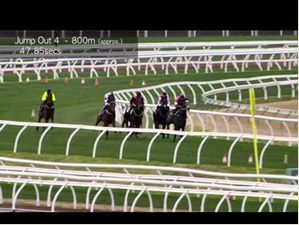 It’s not the form line you want to take into the Australian Oaks. 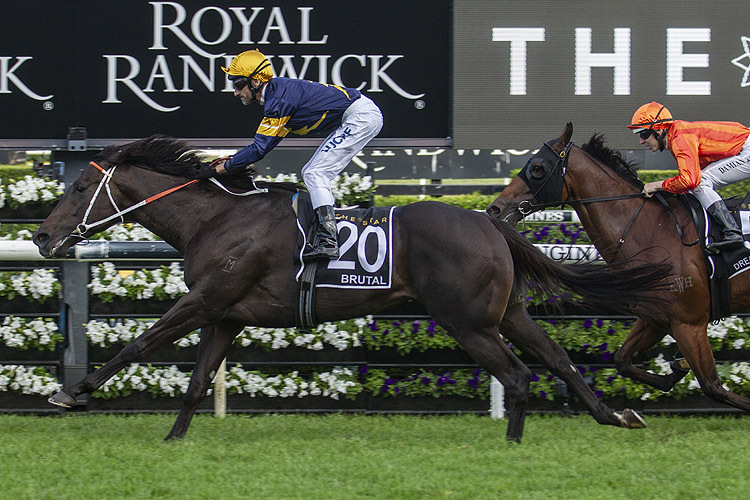 The Vinery Stud is certainly the more proven form line which Verry Elleegant won this year. That said though, Royal Descent claimed the Adrian Knox/Australian Oaks double in 2013. Gust Of Wind ran fourth in this race in 2015 then knocked off Winx in the Oaks that year, the last time Chris Waller’s champion mare tasted defeat. Kris Lees has a strong hand in the Oaks this Saturday with this girl and of course Frankely Awesome . The Adrian Knox is a horrid race for punters. Last year’s winner Luvaluva has been the only runner in the market to have won during the last five years. Outside of her it’s been won by two 20-1 shots and two 40-1 shots. 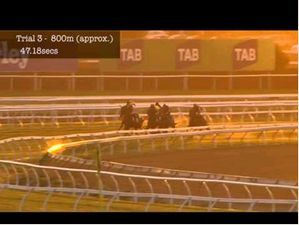 Noble Joey settled midfield and while he was momentarily in search of a run on straightening, he was always going to take holding out once he got the split at the 300m. The Bon Hoffa gelding produced a Timeform rating of 102 for the win. It’s a career best figure for him. It sounds like we’ll see him at the races next in about six months. First up into the Kosciuszko is looking like the plan for him. Todd has a horse eligible for these lucrative Country Restricted races and should pursue them while he can. 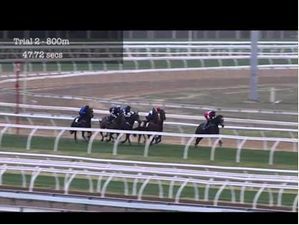 It was his first run this prep over his preferred distance and the UK import thrived up over the 2600m. 109 is the rating we’ve landed on for the run. It’s a bit below the five year average of the race. The Sydney Cup is next for Gallic Chieftain. The Offer in 2014 was the last horse to claim the Chairman’s Cup/Sydney Cup double. 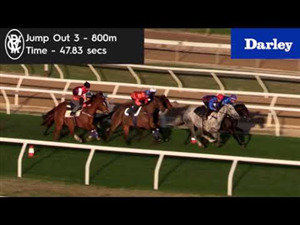 Sir Charles Road was good in his return to Australia. He won the Chairman’s 12 months ago then placed in the Sydney Cup. Semari and Supernova were each strong. They were both tossed in the deep end against seasoned stayers and handled themselves well. Godolphin so far this season had won the Magic Millions, Blue Diamond and Golden Slipper with fillies. Microphone has confirmed himself as the pick of the colts. He’s gunned down a pair of really nice fillies to win this race in Loving Gaby and Kiamichi . Castelvecchio a talented colt as well. There was some good strength to this Sires’ Produce. We’ve awarded Microphone a rating of 121 for the win. It’s the highest winning figure of the Sires’ Produce since Pierro ran to 125 in 2012. That was a vintage renewal. He beat All Too Hard on that occasion. 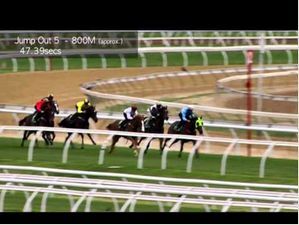 Microphone was strong through the line on Saturday and at this stage there is no reason not to run in the Champagne Stakes. Yankee Rose was the last to claim the Sires’/Champagne double in 2016. Pierro was the last colt in 2012. Castelvecchio and Probabeel are interesting runners. Both are bred to appreciate ground. 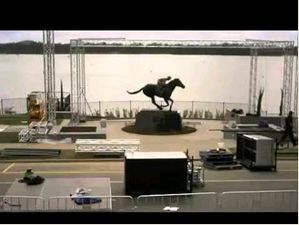 Expect to see them running in the Derby’s and Oaks’ next season. 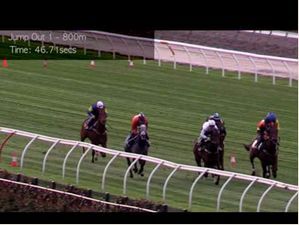 In a repeat of the Tulloch Stakes seven days earlier, Angel Of Truth led and was too strong in the straight, dashing away inside the furlong. He’s the third horse in as many years to claim the Tulloch Stakes-Australian Derby Double after Jon Snow and Levendi . He’s achieved the double running a figure right on the race average. The son of Animal Kingdom was well ridden by Corey Brown who got some soft mid sectionals. 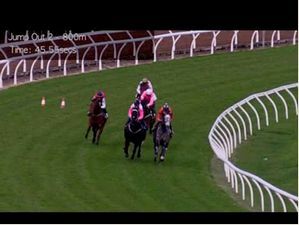 It meant he had a lapful of horse in the straight. 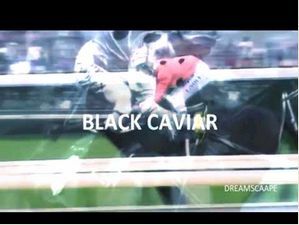 Both jockey and trainer had a bit of a walk down memory lane because of this race. 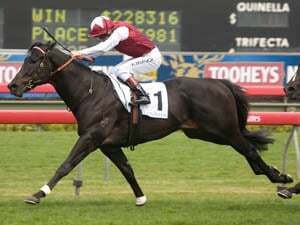 Gwenda Markwell had Grand Zulu primed for a Derby in 2004 however he was sold to Hong Kong after he won the BMW. Saturday was Corey Brown’s second Australian Derby win after he partnered Eremein in the 2005 renewal. 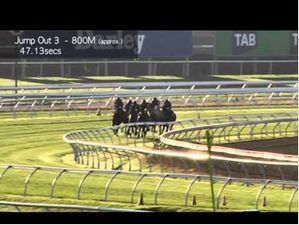 They’ve beaten some promising staying types and we could definitely see the form from this race be franked in a Caulfield Cup later this year. Santa Ana Lane settled back and wide yet still coasted past them in the straight and won by 3.5 lengths. 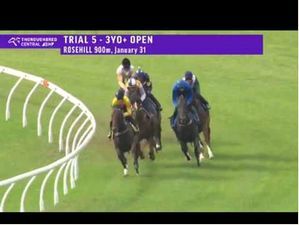 That’s the biggest winning margin of a TJ Smith since it’s been a Group 1 level contest. The son of Lope De Vega has won five Group 1’s now. This was the first he’s claimed inside double figures. It only took four prior Group 1 successes however the Anthony Freedman-trained gelding is gradually starting to get some market respect. The honour roll of the TJ Smith Stakes is elite. He’s joined some special company by winning on Saturday - Black Caviar , Lankan Rupee and Chautauqua are some of them over the past decade. Next for him could be Hong Kong followed by Royal Ascot. 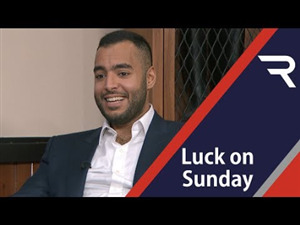 The Chairman’s Sprint Prize would be his first overseas assignment. 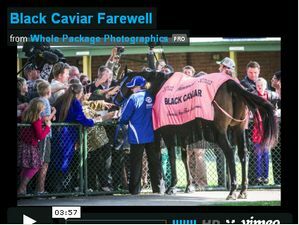 If those travel plans fall through he can contest races like the All Aged Stakes, the Goodwood or the Kingsford Smith Cup. Osborne Bulls , Sunlight , Champagne Cuddles and Pierata were all solid, hit the line together. They just ran into a horse who is flying. 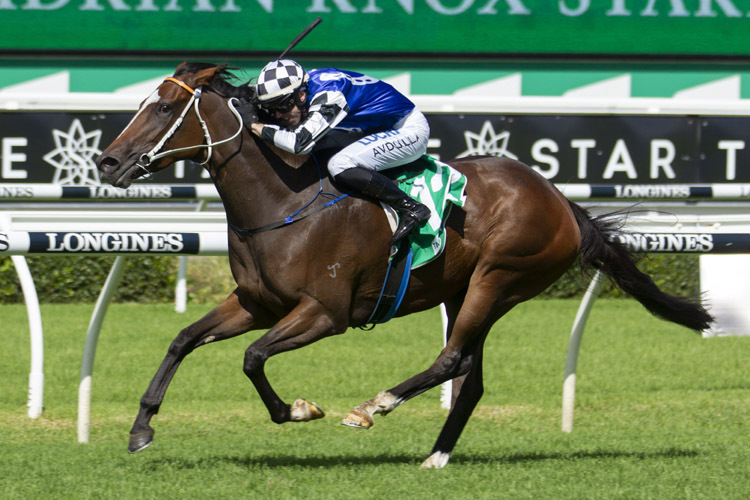 This was another example of the George Ryder Stakes form holding up after Brutal and Dreamforce placed in the event behind Winx three weeks ago. 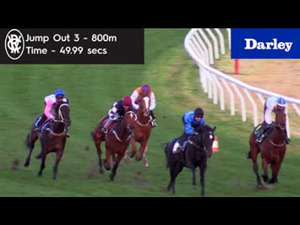 Dreamforce and Brutal landed 1-2 on Saturday and controlled proceedings. Brutal was meeting Dreamforce 1kg better at the weights for beating him in the George Ryder last start and that weight edge told late. 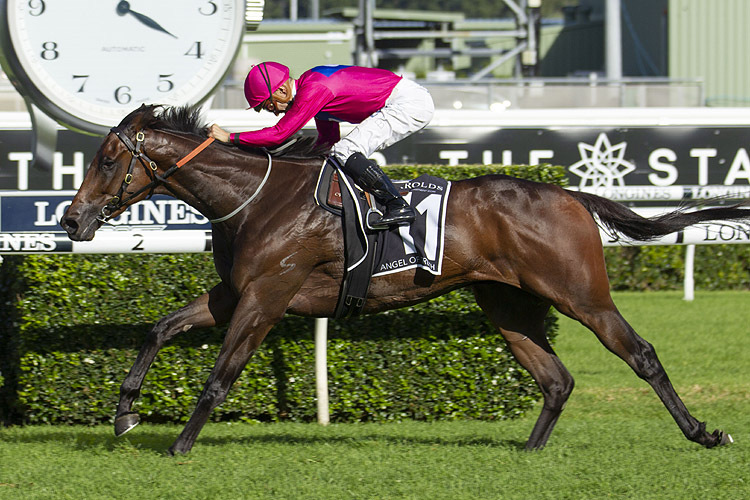 The O’Reilly colt won by a length and recorded a Timeform rating of 120 in the process. He became the fourth horse in the past six years to use the George Ryder as their final lead up prior to winning the Doncaster. Sacred Falls , Kermadec and Happy Clapper are the others. A seventh Doncaster Mile for Glen Boss is the other key talking point. The best so far have been Haradasun and Racing To Win. They each returned 126. Hartnell is a warrior and performed well to run third under a 58kg impost. Fourth placegetter Kluger produced a strong Australian debut. 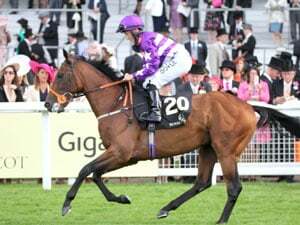 Connections have made the decision to back him up in the Queen Elizabeth Stakes this Saturday. 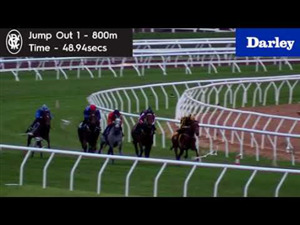 Godolphin on Saturday bookended the card and threw a Sires’ victory in for good measure. Multaja settled back and was impressive out wide late. She’d been quite well supported too so punters walked away happy. She ran to a Timeform rating of 106. That’s an equal career peak for the Medaglia D’Oro filly. The J B Carr Stakes is likely next for her in two week’s time at Randwick. If she can run seven furlongs, even after the carnival finishes there are nice races for Multaja like the Hawkesbury Guineas and the Dark Jewel Classic up at Scone. So Taken has gotten her first black type in running third on Saturday. 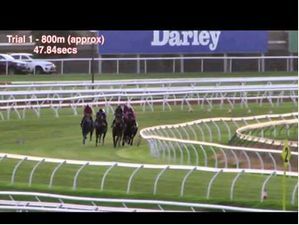 The Street Boss filly can take a similar path through the J B Carr Stakes, Hawkesbury Guineas and Dark Jewel Classic. 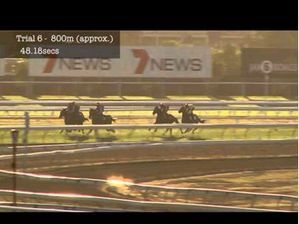 She was only first up on Saturday so this prep could even stretch up to Brisbane. Prompt Response placed first up in this race two years ago. Her prep finished winning the Dane Ripper and the Tatt’s Tiara. 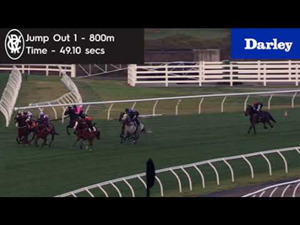 Race Synopsis: Santa Ana Lane scored a most impressive victory, his fifth at Group 1 level. He settled back in last place in the 11-horse field, tracking a solid pace. 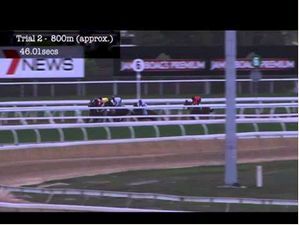 Mark Zahra took him deep rounding the home turn and he then sprinted strongly, hit the front at the 100m and then drew away to score by three and half lengths in a brilliant performance. The favourite Osborne Bulls raced in second last place, stuck to the rails on turning for home, got along the inner to challenge at the 200m and then fought on nicely for second, having no chance with the winner over the final stages. Sunlight raced in third place (wide out) from her outside barrier, tracking a quick tempo. She moved up (very deep) at the home turn and kept fighting gamely for third after a difficult trip. 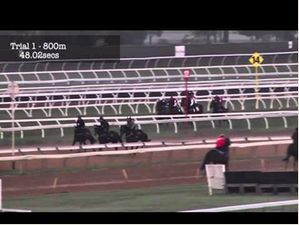 Champagne Cuddles was ninth early on before tracking up (wide with cover) from the 600m. She then kept battling on very well in the straight for (3.7 lengths) fourth. Pierata raced in seventh place, got a split to be in a challenging position on straightening and kept battling on from that point for (3.8 lengths) fifth. 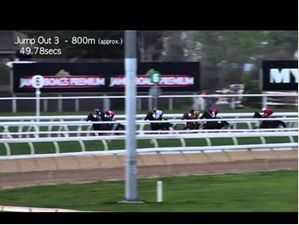 Redzel set a solid pace before tiring over the closing stages for (5.3 lengths) sixth while Trapeze Artist had a nice trip and was fifth at the home turn but just battled in the straight in the soft 7 track for (5.8 lengths) seventh.